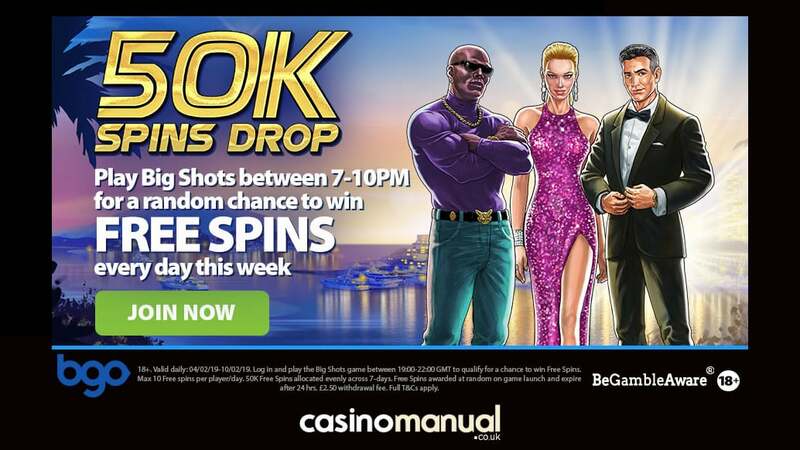 bgo Casino is giving away 50,000 free spins in their 50k Spins Drop promotion – they will be valid for the exclusive Big Shots video slot. Running until Sunday the 10th of February 2019, you can take part by playing the Big Shots video slot between 7pm and 10pm UK time. bgo Casino will then give you 10 free spins on Big Shots. You can do this every day too which helps. The free spins are worth 20p each and only valid on Big Shots – any winnings are subject to no wagering requirements meaning what you win is yours to win/cash out! 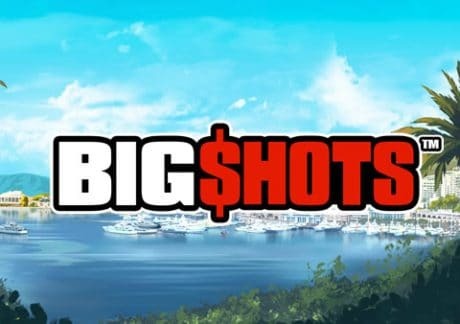 Big Shots is powered by Playtech and only playable at bgo Casino for now – with 6 reels and 4,096 ways to win, you get to see how the other half live as this luxury themed video slot takes you a secluded harbour filled with palm trees, yachts and hotels. Playable from 20p per spin on all devices, it benefits from oversized symbols that can appear as big as 4×4 in size to enhance your winning potential. Big Shots is all about the Free Games feature where up to 10 free spins can be won. Only high value symbols appear during the feature ensuring your wins will be bigger – highly volatile, there’s a massive 25,600 times your total bet to be won from every free spin. For more details, go to the Big Shots video slot review where you can also play for free. The UK focused online casino has been around a while and they have video slots from Playtech, IGT, WMS, iSoftBet, NetEnt, Quickspin, Blueprint Gaming and many others. With round the clock customer support, new players will receive 10 no deposit free spins as well as a 100% first deposit bonus up to £200.